It’s easy to get swept away in the holidays as well as all the wonderful traditions. From the food, friends, family, decorations, and did I mention the food? Though I’ve had a full week to recover from the pants-popping deliciousness that was my Thanksgiving feast, I still remember ever tasty bite. Nick and I embarked on the 3.5 hour trip to the slightly cooler East coast of Florida bright and early Thanksgiving morning. 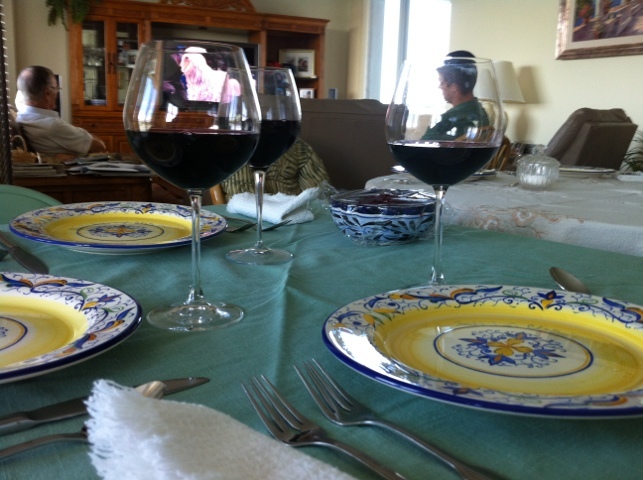 After a couple of pit stops for breakfast and refreshments, and a 40 minute detour through Jensen Beach, we finally arrived to the aroma-packed beach-side condo where my uncle had been hard at work cooking for days. Just because I don’t eat the turkey doesn’t mean I don’t appreciate the good smells! After delivering a healthy snacking treat for the rest of the weekend (recipe to come) and greeting my grandparents and aunts who were settling in as well, I quickly hopped in front of the television to catch the last 30 minutes of the Macy’s Day Thanksgiving Parade. 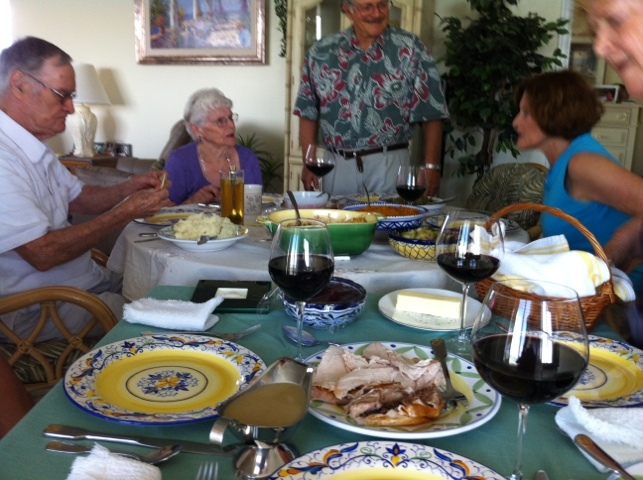 The meal was served up in its usual splendor, as my uncle believes in proper presentation of each dish, and the family took their seats as the final basket of hot rolls hit the table. After a quick toast we dug in. Now, years ago, I made the decision to go vegan right before Thanksgiving. Many mocked my decision stating the the holidays were the absolute worst time to give any vice up. Well, that was probably true, but it put my will power to the test. It was hard though. Especially on Thanksgiving. Especially when I caught a whiff of my mom’s family’s pork stuffing, which I’d looked forward to each holiday season almost as much as the perfectly wrapped gifts on Christmas morning, since I was a kid. That first vegan Thanksgiving started a new tradition though, as I haven’t touched a piece of turkey or gravy covered pile of pork stuffing since. I was lucky though, as my uncle had prepared a quick spiced black bean dish for me that year and he has served it ever since. It’s my vegetarian Thanksgiving protein! You may not think one could be satisfied by Thanksgiving side-dishes alone, but have you ever stopped to really examine the mouth-watering sides on your holiday table? 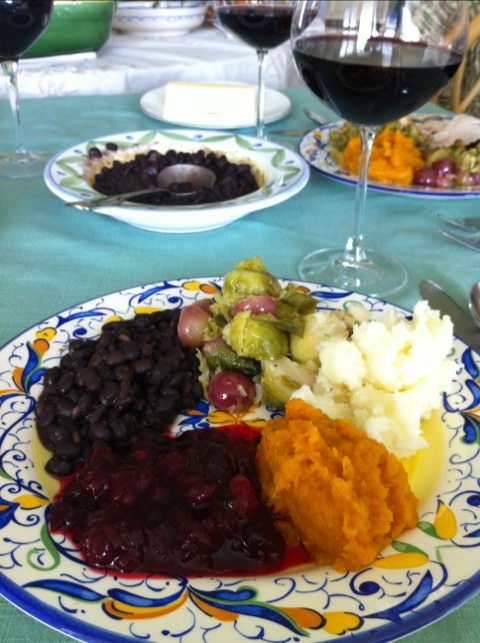 Cranberry sauce, mashed potatoes, squash, green beans, warm biscuits and rolls, brussels sprouts and bread stuffing. It’s quite the spread for any diet-type (minding everything is prepared outside the turkey). Dessert is usually a slam dunk for the vegetarian minded as well. Squash pie (in the pumpkin pie family, but more… earthy in it’s taste) was my choice, but usually you can find an apple pie around as well. All in all, I don’t really miss out at all at the Thanksgiving feast. I don’t miss having to clean the turkey bones after the meal either. Being vegetarian excuses be from that fun chore, though I am usually helping clean up everything else. Yes, it’s a Happy Thanksgiving for all indeed. Though I miss being with my parents at Thanksgiving, it always cheers me up to pull my mom and stepdad up on Skype (also a tradition that has caught on in the past couple of years) and doing a family video-conference. I love that my grandparents always seem mystified by the magic of Skype. 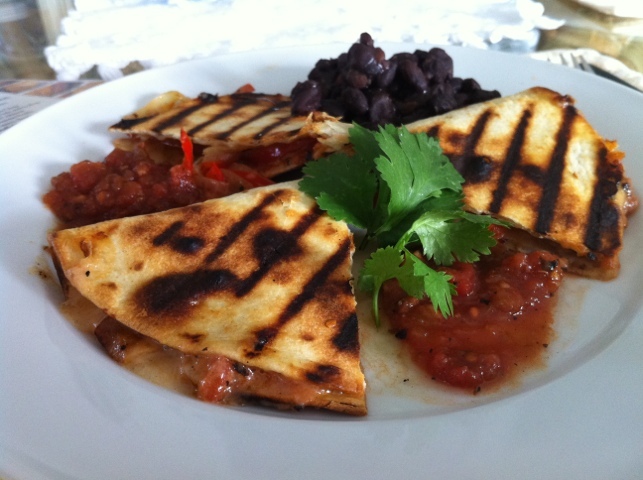 Veggie Quesadilla with leftover black beans. 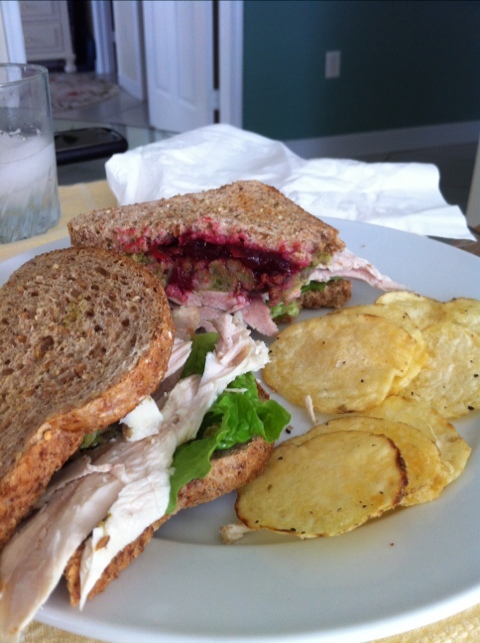 Nick’s Thanksgiving sandwich using leftovers. Thanksgiving marks the official start of the holidays though, so you had better believe I listened to Christmas music all the way home to Naples (Nick was thrilled too, though he won’t admit it). 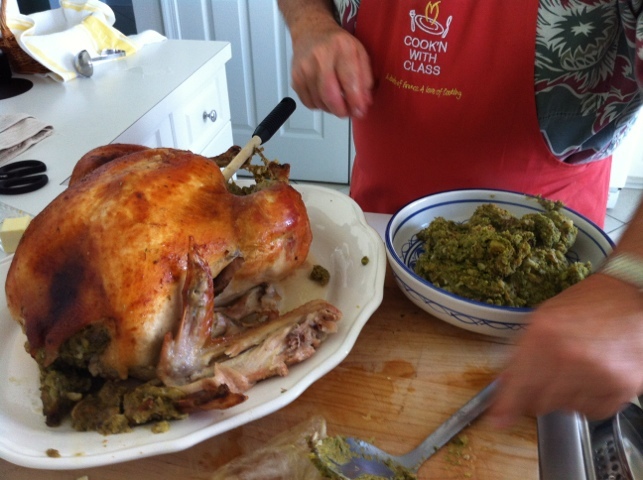 Do you have any new or old Thanksgiving traditions you absolutely adore?